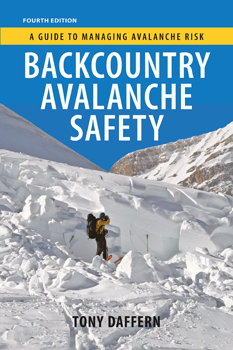 The updated new edition of Backcountry Avalanche Safety is now available. 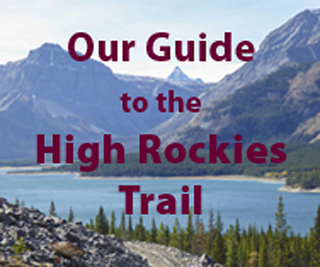 Since the last edition there have been significant improvements to avalanche forecasting. Work done by Parks Canada and Canadian academic researchers has led to Canada becoming a world leader in avalanche forecasting and in the education of winter backcountry users. The chapter Avalanches has been re-written to define the avalanche types now used in Avalanche Forecasts to communicate Avalanche Problems. A table (page 84) lists the recreational Users of Avalanche Terrain, their objectives and likely terrain use. This important table allows me to clearly define specific groups of users in the Trip Planning, Travel in Avalanche Terrain and Riding Steep Slopes chapters. The Avalanche Forecasting part of the Trip Planning chapter has been updated and includes the Interpretation of Avalanche Forecasts for the various Users of Avalanche Terrain. In the chapter on Travel in Avalanche Terrain I introduce the concept of risk and much of this chapter and the next one, Riding Steep Slopes, is focussed on reducing and managing risk. In Riding Steep Slopes there is a new two page spread on Managing Avalanche Problems that are caused by the Types of Avalanches described in the Avalanches chapter. Terminology has been updated and standardized throughout the book and there have been corrections and minor additions in every chapter.